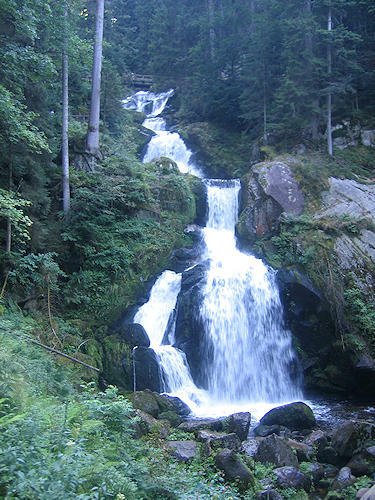 Triberg is located directly on the Black Forest railway line and is famous for Germany's highest waterfalls, which have an overall drop of 163 metres over 7 cascades. More than half a million people visit this spectacle of nature every year. 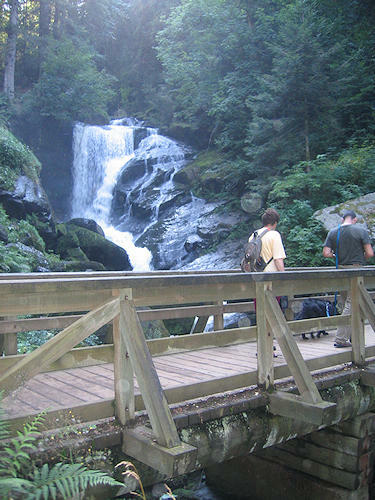 There are three entrances to the waterfalls, which are reached via asphalted paths, steps and footbridges. You should be a reasonably good walker of course, and the paths are totally unsuitable for prams and pushchairs. However, you can reach the lowest and largest cascade of the waterfall relatively easily from the main entrance (top photo).